Our first weekend of PBR action showed us exactly why we were excited about the recent addition of over 150 events to the FloRodeo live-streaming calendar. You can go back and watch both the PBR Unleash The Beast’s Buckoff at the Garden and the Velocity Tour’s Oakland Classic, but we wanted to give you a list of the five things we personally loved from the first of MANY weekends of PBR events we have comin’ at ya! 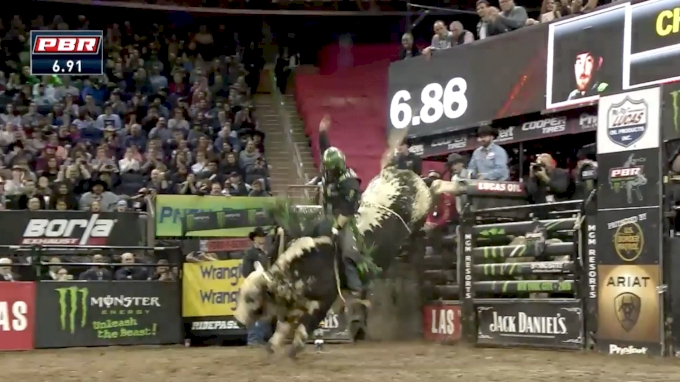 The PBR has a unique format that keeps all of its riders on their toes all season long to hold on to those coveted top 35 spots on the Unleash The Beast Tour. Stay competitive and you’ll be looking at big checks and big points from the top-tier tour, but stub your toe and there are competitors in the second tier that will gladly take your spot. Whether you were watching the Unleash The Beast Tour event in NYC, or the Velocity Tour stop in Oakland, the name Lockwood was one to watch for. Saturday night saw Jake Lockwood win second in the long round of the Oakland Classic with his 88.5 point score and rocket himself into the short round. His big brother Jess not only split the win in round one of the Madison Square Garden event, but also won the championship round and the overall event. Jess is now the No. 1 man in the world standings and at No. 37, Jake has proved that it may not be long before the top 35 Unleash The Beast riders have two Lockwood’s to contend with. A familiar face in the rodeo pool has ventured into PBR waters, and his name is Joe Frost. 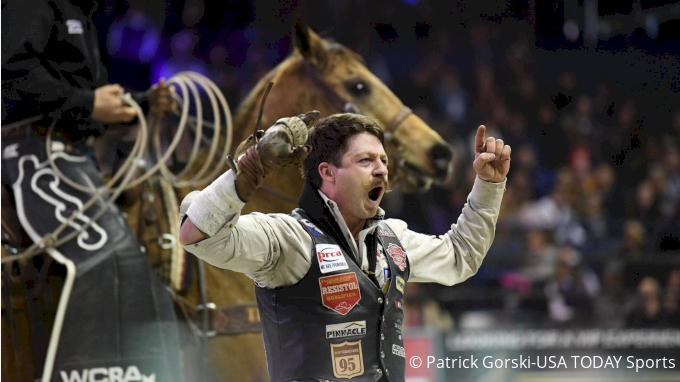 The five-time Wrangler National Finals Rodeo cowboy entered his first PBR this weekend in Oakland, California, and emerged as the Velocity Tour’s Oakland Classic Champion. The win earned Frost a $6,100 paycheck, but also means Frost will very quickly go from PBR first-timer to going head-to-head with the veterans on the Unleash The Beast Tour… And we can’t wait to see it! After an injury at the 2018 Cheyenne Frontier Days PBR that sent Chase Outlaw into a 12-hour surgery in what his doctor said was the “worst facial reconstruction he’d ever seen,” it’s good to see the Arkansas cowboy back to his winning ways. 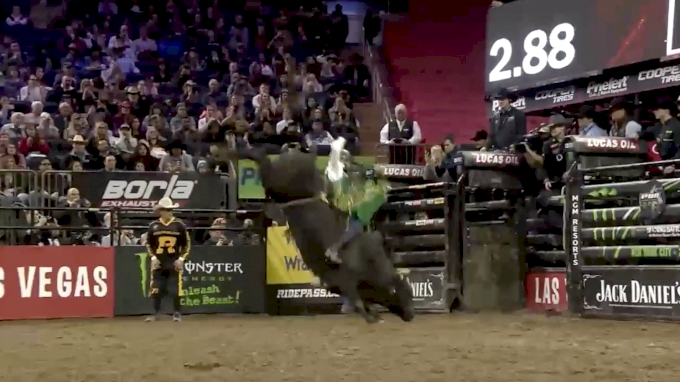 Thirty fractures, 68 screws, 11 plates, four pieces of surgical mesh and two surgeries later, the Outlaw is back and has already earned a round win and sixth-place finish at the Monster Energy Buckoff At The Garden in NYC. 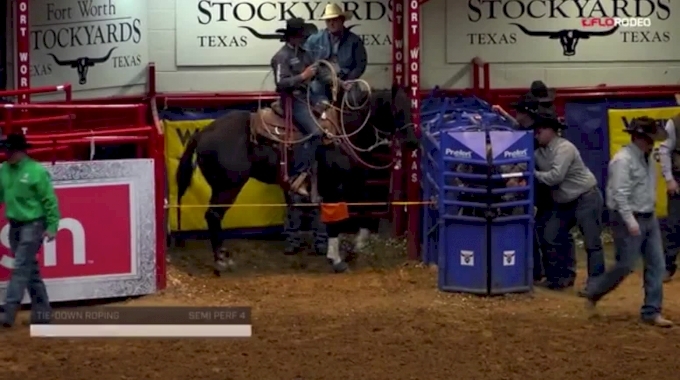 We’re live-streaming 150+ events from the PBR, WCRA, CPRA and more this year, so if you haven’t already signed up to watch, you better do it now by clicking HERE. Don’t miss another moment of action in 2019.